The 91st Academy Awards is approaching, and Marlina the Murderer in Four Acts has not been nominated in the Best Foreign Language Film category. What's more surprising is that the official Indonesian entry was not even considered among the 9 shortlisted titles announced last December, before the academy picked the final five nominees. At first, I was rather shocked by the shortlist, but taking a closer look at it, we can understand why Marlina didn't end up on it, despite all the campaigning behind the film. Among the nine shortlisted films are six that were screened at the Cannes Film Festival 2018, two that were in competition at the 2018 Venice International Film Festival, and one that was screened in the World Cinema Dramatic Competition at the 2018 Sundance Film Festival. The films that advanced from the shortlist are Japan's Shoplifters ( 2018 ) that won the Palme d'Or, Lebanon's Capernaum ( 2018 ) that received the Jury Prize at Cannes, and Poland's black-and-white feature, Cold War, that won best director at Cannes. The German indie Never Look Away competed in Venice, and the winner of Venice's Golden Lion Award, Alfonso Cuaron's Roma, is also in competition for Best Picture at the Oscars. I'm not going to argue whether or not these films are beautifully crafted or convey important messages because they are and do. Rather, I'd like to talk about what they did right and why we should learn from them. If we campaigned properly for Marlina, why didn't it get nominated (or at least shortlisted)? Simply put, it was overshadowed. Here are the reasons why. The first thing I want to point out is the fact that all shortlisted films and nominees were screened (even gained recognition) at prestigious international festivals, which are often used as platforms for premiering films projected to run for Best Picture at the Oscars. You might want to argue that Marlina also gained that recognition when it premiered at Cannes 2017. But that's the thing: its buzz has been overshadowed by the films screened in 2018. When critics or the Academy thought of the foreign films that stole their attention in 2018, Marlina wouldn't have been the first title that occurred to them. It would have been more strategic if Marlina had entered last year's Oscars. It would have still been fresh in the minds of the critics then to influence the Academy's members, and the moral message it championed was more relevant to the #TimesUp movement of the time. The chance of Marlina being considered and nominated last year would have been slightly higher compared to this year, especially if Indonesia had campaigned for the film as rigorously as it did this year. For some reason, Indonesia is always overshadowed in every narrative in the media and among critics. Variety did say how Asia might be the dark horse at this year's Oscars. However, the first and second films the article mentions are Shoplifters and South Korea's Burning – both of which were shortlisted – followed by Marlina. If you think the Academy should celebrate female directors, Mouly Surya didn't receive first mention either. Lebanese director Nadine Lebaki's achievement at Cannes 2018 managed to keep her in the spotlight for the rest of the year, and apparently the Academy agreed by nominating her film, Capernaum. It turned out that submitting a film that had a bigger buzz and greater relevance two years ago was not a great strategy for Indonesia. Having said that, Garin Nugroho's Memories of My Body wouldn't be an ideal entry for the 2020 Oscars either, as it was screened at Venice 2018 (unless Garin decides to screen it at other major international film festivals this year like Telluride or Cannes). The second thing I would like to address is Indonesia's consistency in supporting our filmmakers. Aside from Garin Nugroho, I'm currently anxious to see two films that might have the potential to be a strong foreign film contender at the Oscars: 27 Steps of May and Ave Maryam. All three films were financed by Go-Studio and screened at international festivals, even if those festivals were not prominent enough to be heard by either Hollywood critics groups or the Academy. That said, whatever film is selected as Indonesia's official entry to the 92nd Academy Awards needs to be represented and campaigned for properly. It's not enough to have a page of an exclusive review in the media or to screen the film in Hollywood. Our country needs a more solid campaign strategy. Campaigning for the film is usually the studio's main responsibility, but for the Oscars, I think our government should be more involved. And if the government is not capable of doing so, then maybe it's time for the Creative Economy Agency (BEKRAF) to involve more actors who has the knowledge and capacity to provide insights on helping the agency design the Oscars campaign. For the long haul, the government needs to encourage our filmmakers to screen their works at major film festivals, preferably those recognized by the international film community. Such filmmakers include Wregas whose film, Therefore, I Am, was produced by Torino Lab, or Kamila Andini and her upcoming feature Yuni, also produced by Torino. We have so many talented filmmakers, and if the government spots and nurture them, we wouldn't be short of human resources in filmmaking. This also goes for funding studios as well. Unlike Hollywood, which has a subsidy to make films that resonate with the general human condition, most Indonesian production houses care only about how many tickets they sell. Perhaps it's time for the government to oblige big-budget studios in the country to make at least one indie film by young and prominent filmmakers. 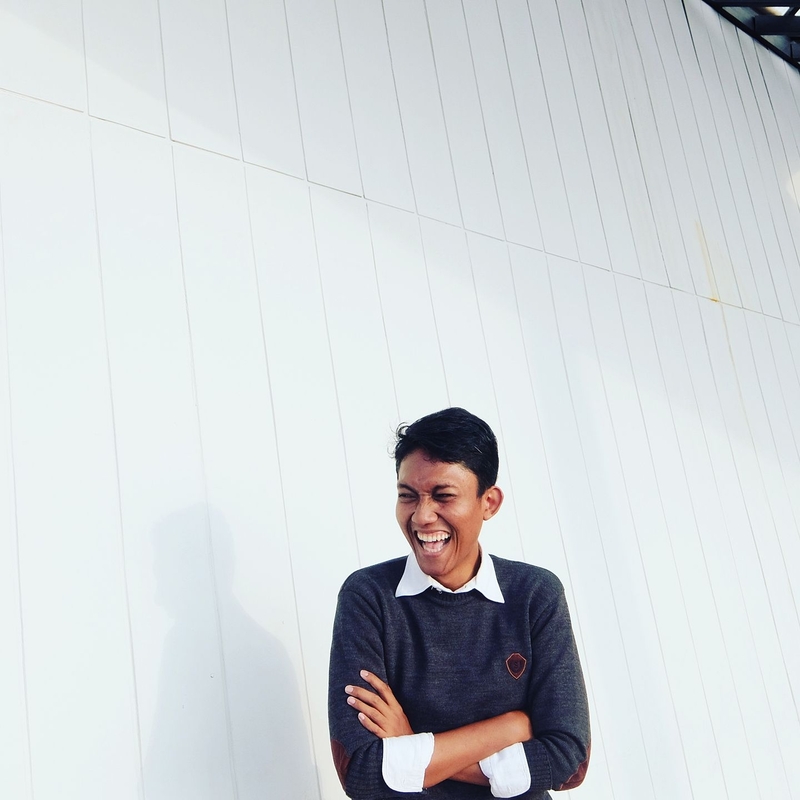 Reza Mardian is a film enthusiast and a big fan of Disney, Pixar, Studio Ghibli films, as well as all films in the running for an Oscar or Festival Film Indonesia award. He has a passion for writing about the politics of film festivals and the great movies that have touched his imagination. Catch him talking about movies on Instagram @mardian.reza.